This shell is an ammonite, a marine animal that went extinct at the same time as most dinosaurs, around 65 million years ago. This shell’s spectacular coloration is unusual and is found only in ammonites from Alberta, Canada, such as this one. 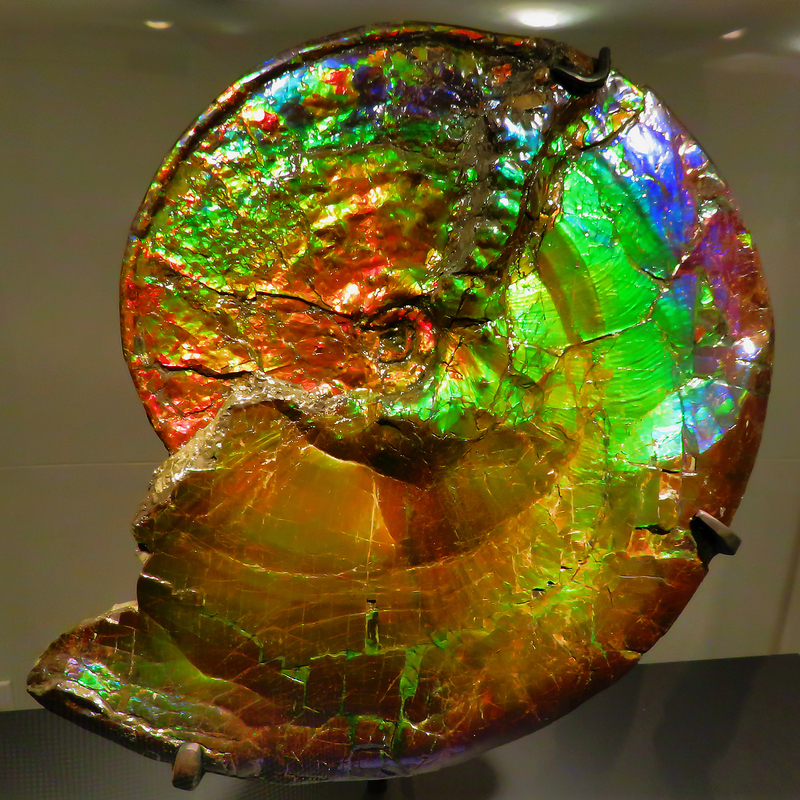 For many millions of years, this shell was subject to high temperatures and pressures, which produced the novel iridescent effect. This artifact is one of only three gems derived from living organisms that is now recognized as a gemstone. Ammonites are named after the ram-headed Egyptian god, Ammon, whose horns resemble the ammonite’s spiral-coiled shell. This entry was posted in Life, Nature, Photo, Photography and tagged American Museum of Natural History, NYC by RegenAxe. Bookmark the permalink. That’s fantastic! So beautiful and so unusual. Thanks for your post.